As many of you may have noticed, parts of the park have been cordoned off. According to the Houston Parks & Recreation website, Sections of Ervan Chew Park will be closed while the swimming pool complex is removed and a water sprayground is built to replace it. The project should be finished during September 2010. 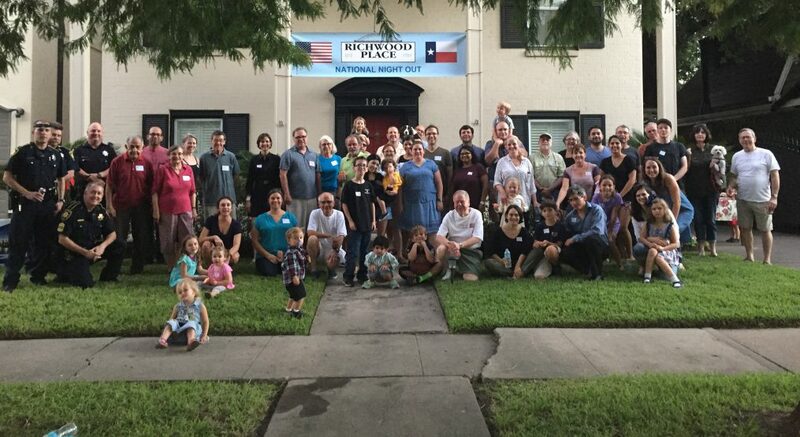 I will attend the Neartown Montly Meeting tomorrow, April 27, at 7pm at the Cherryhurst Park Community Center, 1700 Missouri St, Houston, TX 77006. The meeting agenda will include an update on the University Rail Line and the latest on the HEB Development. Please feel free to attend as well. A gentle reminder that the next Richwood Place Civic Association general meeting will be held Tuesday, May 11, at 7pm at Zoe’s restaurant on Shephard and Portsmouth. Please plan to attend. The next Neartown Development Forum will be held Saturday May 15th, 9 a.m – 1 p.m. at St. Stephen’s church Pecore Hall. I will post the agenda when it becomes available. Swamplot recently posted a HEB development update, including information about the variance application submitted by the new owners. richmondrail.org recently published the METRO operations review findings from Mayor Parker’s transition team task force, which includes some commentary about the University Line as well as a link to a HoustonTomorrow article that provides a summary of the reports. The examiner reports Buffalo Bayou could soon be named a National Heritage Area. If approved, Buffalo Bayou will be the first National Heritage Area in the State of Texas and the Buffalo Bayou National Heritage Area can receive up to $1 million annually for 10 years. KTRK posted an article about the recent city council vote to raise water and sewer rates. Just got this email from Mark Johnson @ Neartown: The City of Houston Urban Forestry Department has gifted Neartown residents with (50) 15-gallon hardwood trees in the following species: Shumard red oak, Texas Green Ash, Retama (Jerusaleum Thorn), Evergreen elm, Mountain Laurel, Redbud, Red Maple and Mexican plum. The trees must be planted on the City right-of-way (or other City property such as a park or school) and the new owner will sign a form agreeing to water and feed the tree(s) for a minimum of two years. These trees are HUGE! A truck is required for transport – and I do not have a truck. For more information or to set up a time to view the trees, contact Kathy Schipper at kathleencanty@sbcglobal.net. Hurry and make a decision as these beauties will go fast! The attached correspondence that was sent to Council Member Wanda Adams this evening regarding Capital Improvement Planning for RPCA. BIg thanks for Moustapha El-Hakam for his work on this. Beginning March 1, 2010 the city of Houston will only accept yard waste in paper bags. You can purchase these bags at Southland Hardware or Home Depot (does anyone know of a better place?). For information on City Services to our neighborhood, call 311 or visit the City of Houston eGovernment Center. Heavy trask pick-up every second Thursday for homes West of Woodhead, and every second Wednesday for homes East of Woodhead. The heavy trash schedule alternates monthly between tree waste and junk waste. Tree waste is picked up in months January, March, May, etc while junk waste is picked up February, April, June, etc. You can legally put your tree waste or junk waste out at 6:00 pm the Friday before your Tree Waste / Junk Waste day.